Hello Everybody, hope you all are doing well. 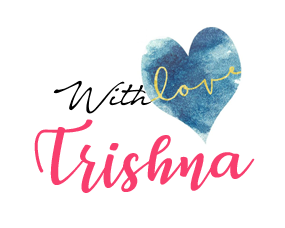 Recently bought a few products from Miss Claire and I absolutely love it! Packaging of the eyeshadows is very simple and basic. It does not come with its own applicator or mirror, but I like it a lot since it is very compact. These eyeshadows are very pigmented and super bendable. You just need to dip your brush. 0458 (BLUE): This is a very beautiful royal with silver glitter in it. Its matte but has few specks of sparkling shimmer in it. 0651 (GOLDEN): This is a very beautiful Gold eyeshadow which can also be used as a highlighter for the face. This is less pigmented than the other two. It is totally build-able. 0505 (RED): This is the most pigmented color among the three. Its fully matte and can easily make your eyes go overboard if you use it too much. Totally love this shade. I don't know why I'm so connected to Miss Claire , so as soon as I got these at a local store, I just grabbed it. These are super pigmented and very blend-able and stays for about 4-5 hours WITHOUT eyeshadow primer. I created a look using these three eyeshadows and I haven't used any primer and damn it looked amazing. 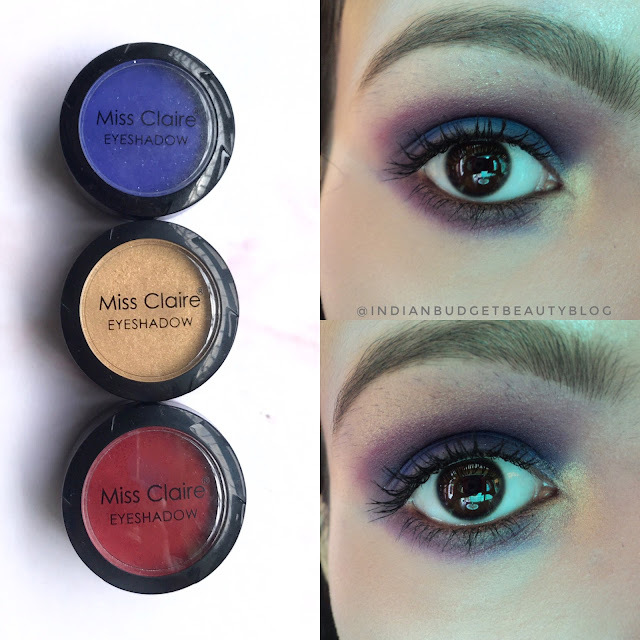 You can also mix these colors as well, like I mixed the red and blue shade to get the perfect purple for my EOTD. 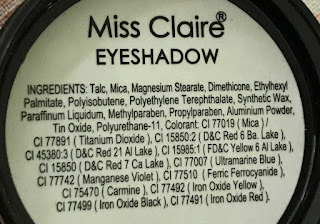 The blue eyeshadow has a little bit fallout, but do you know that fallout means that your eyeshadow is blendable? Yes I am absolutely right about this. The blue eyeshadow needs building up if you are packing the color on your lid for maximum intensity. The red eyeshadow is very very pigmented and this doesn't have any fallout but its blendable as well. The golden color is very subtle and this works great as a face highlighter as well. If you follow me on instagram, you might know about it. Follow me @indianbudgetbeautyblog! Overall, if you use an eyeshadow primer, the staying powder will increase more. These eyeshadows are available in so many different shades that I just feel like buying more and more. I totally recommend this to you all. 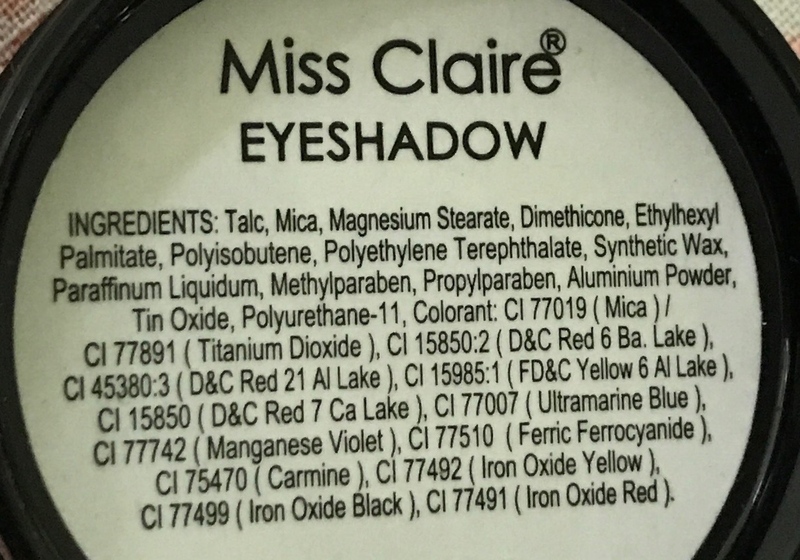 WHERE TO BUY MISS CLAIRE PRODUCTS IN GUWAHATI? For all you who lives in Guwahati, Miss Claire products as well as sivanna is available at Jeenal, Ganeshguri. You can just google the address.